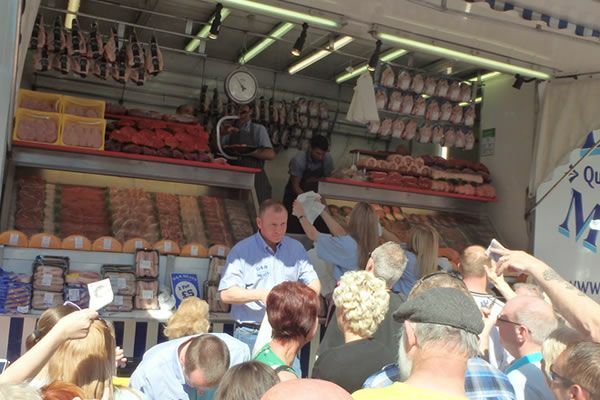 D&R Meats haven’t become one of the leading UK Wholesale Meat Suppliers just by chance, its purely down to the fantastic farm fresh meats we provide to our customers. All of our meat is sourced from both well established UK based producers, among specialised products such as lamb from New Zealand and beef from Australia, our aim is to provide the finest quality produce to both the public and to the wholesale sector all at trade prices. We take great pride in all of our products & butchery services as like our moto says… Quality is our future! Have a question for us? please feel free to contact us. Visit our Facebook & Instagram pages for the latest on offers & market locations. Can’t fault you guys!! Quantity, value and bloody delicious! See this review on Facebook. had a lovely joint of beef from you yesterday and sausages they were gorgeous and so cheap highly recommended. Never had any complaints from me, good quality meat and at very low prices. I have always had good quality meat & service from them. Always good value. nice range of meats. never been disappointing with what we have had. We have used you several time now for our meats and never had a bad experience. The steaks we brought at the weekend were delicious & went down a treat with all the family.